AXT houses the most comprehensive demonstration lab of any scientific instrument manufacturer or distributor in the country. 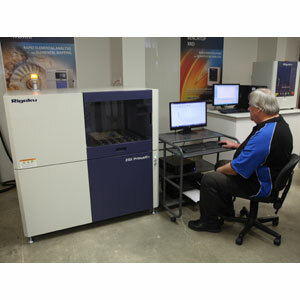 It is constantly stocked with a wide range analytical tools and solutions from our many suppliers. Our demonstration lab enables us to be able to showcase the capabilities of our instruments and allows potential clients to try before they buy, an option not often afforded in the various markets that we operate in. If you would like to test drive any instrument in our demonstration lab, please email us or call us on +61 (0)2 9450 1359 to book an appointment. TESCAN VEGA SB SEM – The full-sized SEM for the price of a bench top system, providing the flexibility to add a host of detectors and extend its analytical capabilities way beyond what a bench top SEM. Thermo UltraDry EDS – This industry-leading system provides detailed elemental analysis of samples and is perfect partner for your SEM. 3D Cell Explorer – Live cell imaging tomographic microscope. To arrange a demonstration of any of these instruments, please feel free to contact us to make an appointment.